The Tide is a new podcast featuring stories by the Halifax Media Coop. 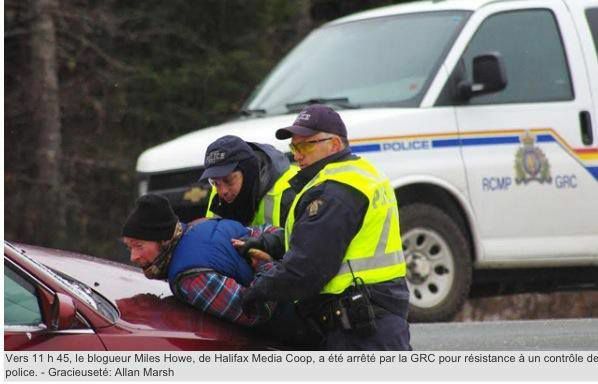 Photo by Allan Marsh, published by Acadie Nouvelle, of journalist Miles Howe being arrested in New Brunswick. Subscribe to The Tide using our RSS feed or via iTunes. 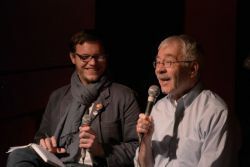 Gerald Hannon: HMC Contributor Mark Rendell brings us into the room for a talk by Toronto gay liberation activist Gerald Hannon, former editor of Body Politic. 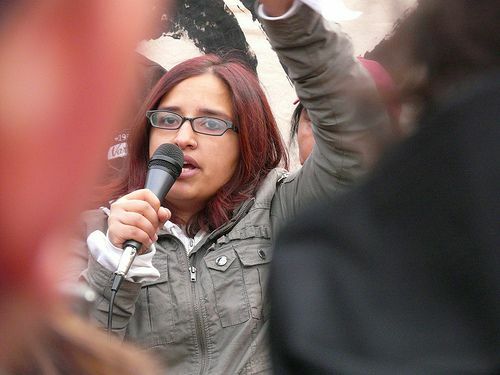 Harsha Walia: HMC Contributor Candida Hadley interviews activist and thinker Harsha Walia about indigenous sovereignty, settler colonialism, feminism, and Undoing Border Imperialism. Miles Howe: The HMC journalist and editor talks about seismic testing, fracking, getting arrested, and getting involved in the struggle to stop shale gas exploration in the Elsipogtog First Nation in New Brunswick. Miles Howe's latest story: Is there a monitor in New Brunswick? - One month later, aquifer still broken due to SWN's seismic testing. Don't miss future episodes of The Tide. 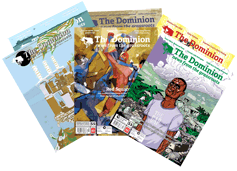 Subscribe to our RSS feed or via iTunes. Credits: Produced by Erica Butler and Pierre Loiselle for the Halifax Media Coop. Contributions from Mark Rendell and Candida Hadley.